Right off the bat, we want to tell you the most important aspect of looking for a microphone when singing: you need a condenser microphone. If you want a straight up answer, our favorite mics ever are the Rode NT1-A or a step up the Rode NTK. 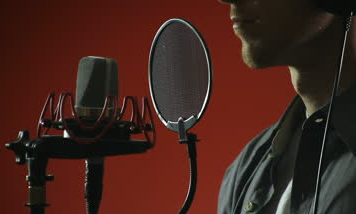 Condenser microphones are recommended for singing because of the wide frequency range, particularly the middle levels (which most vocalists fall under). They’re also great because of the sound accuracy they provide, the ability to handle high sound pressure levels (SPL) without distortion, and with most being extremely sensitive to picking up each and every piece of audio it captures — perfect for getting every aspect of your voice. 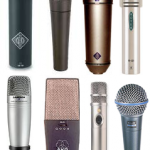 You can also check out our top 10 best condenser microphones article if you want some more options in terms of budget ranges and sound type. Your budget. We’ll list this again because it is obviously what will dictate which direction you go with mics. We’ve seen many affordable models under $200 to $500 or so provide excellent, professional studio quality sound. 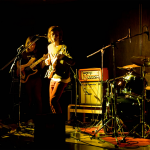 Are you recording or performing live? 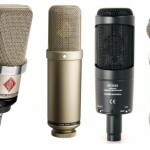 As stated previously, condenser microphones are perfect for recording singing. However, if you’re performing, you will need a different type of microphone. Read our microphone for performing live article if that is the case. Otherwise, continue reading on for some more singing mic recommendations, or read our vocal recording microphones article for that use instead. Will you need some accessories with the mic? Especially if you’re recording, you’re going to need a few additions: a mic stand, shock mount, popper stopper and more. Keep this in mind because some of the popular models actually come in packages around the internet. If they don’t, remember to include this in your budget planning as you’ll have to purchase them separately. Other gear you will need. If you’re buying a condenser microphone for recording singing, you will need a few more pieces of gear to fully complete the setup. Look into recording gear bundles as well. An external source of power to amplify the mic: you can use a simple phantom power supply (some come with it), or we recommend reading our best audio interface article to purchase the device which powers up your mic and at the same time allows you to hook up more gear\tweak some effects\volume\etc as well. A music software to record your songs in: Again, you may already have one, but if you need a program to start recording, read our best digital audio workstation for more information on our top picks of programs for music production. We start the list off here with the 770 because it’s seen typically for under $100 and great for singers who are just starting out. In terms of a budget-friendly yet semi-professional mic, we’d continue on the list with the 2035; however, the MXL 770 still gives us some solid quality when it comes to recording singing. You get a solid build at the price for an investment of numerous years if taken care of properly, a pretty good quality FET preamp built-in (you’ll still need some phantom power), a cool switchable bass cut and -10dB pad, and support for various instruments besides only your voice.It’s also a bang-for-your-buck because it comes with a shock mount and carrying case if you’re looking to save some money on your accessories. 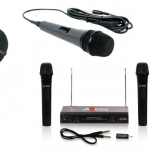 The MXL 770 is great for singers looking for an easy solution. This is our favorite pick for singers if you’re looking for the best budget-friendly microphone above the 770. Audio-Technica gear is one of our favorites if you haven’t been able to tell from our articles. The AT2035 is perfect to save some money yet still get a quality microphone, giving us a large diaphragm for a very smooth sounding vocal track, a nifty high sound pressure level, switchable 80 Hz high-pass filter if you have a higher pitched voice and want to help it out. Not to mention it comes with it’s own custom shock mount and a pouch for traveling purposes making it an even bigger steal for saving some money. A lot of detail with this one and the frequency range is solid at 20 to 20 kHz. We love the Audio-Technica AT2035 for singers on a budget. A step up from the AT2035 and this gives us a bit higher quality in terms of sound. It has a convenient 20dB attenuator and bass-cut filter for extra clarity when recording. Singers like this especially because you get up close to it and not have to worry about popping or distortion (high SPL of 156dB although we recommend still using a pop filter). The design is all-metal so you’ve got a tank here with many years of investment. Love the big pickup of this thing and the sound is clear without a doubt. Some people say this is better than the Rode NT1A but to us it’s like apples to oranges — both are great esepcially for singers. We list this here because we went with Rode’s NTK to appear later in the list. 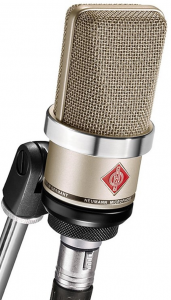 Grab the AKG C214 if you’ve got the dough as it’s one of the best microphones for singing. This is our pick for absolute best microphone if we were to ignore the price tag on any mic. It isn’t necessarily budget-friendly, but coming in around the $600 range it isn’t cheap either. You also know that you’re getting a trustworthy brand when buying a Rode mic — their reputation is extremely positive with any gear head you speak to. The NTK is exceptional in terms of overall effectiveness and warm sound it provides. We get a pressure gradient acoustic make, nice quality 1″ capsule with a wide frequency range of 20Hz to 20kHz which covers pretty much every singer on the planet. What’s especially noteworthy of the NTK is the build of it — fits like a tank in the palm of your hand and is an investment that will last you years (some have used theirs for almost a decade if proper care is used). One of our favorites in the best mic for rapping article, we’ve heard this used for R and B, rock, metal, and country singers (but there is no real exception here). 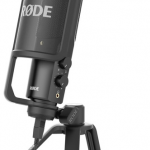 Go with the Rode NTK if you want one of the best microphones for singing in our opinion. You can also check out some sample recordings of the NTK. Well, Neumann microphones are considered to be the Porsche of the lot. This thing is butter, with a crisp, clean sound yet providing warmth at the same time. It’s a tad bit more expensive than the NTK but you are getting what you pay for. This is especially nifty for singers who have louder voices, may be screaming, or just need an overall higher sound pressure level (SPL) than most since it accepts of 144 dB (which is seriously loud — check this decibel comparison article). You can also use (and probably the rest of these mics) for other instruments besides your voice if that’s what you may be thinking of. If not, for singers, this is the top of the line although Neumann offers a lot more expensive mics out there. 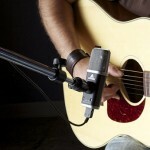 This is probably the most budget-friendly and worth-it mic Neumann has to offer. Grab the Neumann TLM-102 if you’re reaching high. Sound On Sound’s TLM-102 review also praises it for it’s use with singers.